SEO is a HUGE ocean which covers a ton of topics. So it’s obvious most of us make a lot of SEO mistakes. Some of them are fatal and many of them are silly. The KEY here is to avoid as many SEO mistakes as possible so you’ll rarely get hit by Google updates and that’s the way to improve your search rankings too. The harsh truth about SEO is, Google won’t spare anyone if you’re making SEO mistakes. Here’s how it actually works: Google rewards the sites that follow their rules and penalizes the sites that hurt reader experience. That being said, search engine optimization is not rocket science. Anyone can learn SEO. In this detailed post, we’ll cover some of the common SEO mistakes that will make you look dumb and you should be avoiding them at all costs to get more organic traffic to your blog posts. So here’s a list of few costliest SEO mistakes to avoid if you want to get ahead of SEO. 4. Site audits: what are they? If there are too many low performing indexed pages on your site, you should get rid of them as soon as possible. Why? The overall quality of your website’s content can affect your search results. If your content strategy involves in creating highly useful long form of content, you’ll see better results in the long run and your search traffic grows eventually. But if your content strategy involves in a combination of thin contents and good enough content, then your site rankings might suffer. Your site rankings might even get penalized by one or other Google algorithms. So why take a chance? If you’ve already published a ton of blog posts on your blog and if you’re sure that some of them (or most of them) or not bringing you any traffic, you should start working on improving or redirecting such pages. What’s the best way to fix underperforming indexed pages? Right now, we’re indexing just around 400 posts of Bloggers Passion in Google search. Did you know that, we’ve published over 900 posts (apart from pages)? Even after having around 1000 posts, we’re only indexing around 400 results of our site in Google search and the reason is we just want to index top performing content. If you’re wondering how to do it right, here’s simple step by step tutorial on how to find and fix your low performing contents to increase your overall search rankings in 2019 and beyond. Step 1: Go to Google Analytics and find your top 10 (or top 20) pages. If the content on those pages is not up to date, it’s time for you to rework on updating them. Step 2: Also find a list of all the underperforming posts and pages on your site. Check your last 1 year or 2 years traffic report to find those pages which are barely bringing you any visitors from search engines like Google. Step 3: Make a list of all the underperforming pages in a spreadsheet (along with the URLs) so you’ll know which are not performing well but still getting indexed on Google. Are you making the most common beginner SEO mistakes by writing short blog posts? Don’t write those short blog posts that contain 300 words or even less. They don’t tend to get traffic from the search engines. That means writing nothing is better than writing an article with 300 words or less. If you want to get better search rankings, start creating 2000+ blog posts, have a look at the below image to understand it better. This is one of the dumbest SEO mistake MOST bloggers make. They ONLY create textual contents, they don’t care about being everywhere by creating videos, podcasts and/or infographics to extend their online visibility. Don’t forget that YouTube is also a search engine that sends great traffic if you create relevant videos on your blogs. Yes, we all love search engine traffic, because we can build better blogs and can make more money from PPC ads and affiliate programs when search engine traffic flowing through our blogs. But what if you solely focus on writing for the search engines? You won’t get loyal readers, your readers won’t find it easy to digest your blog posts and they might end up unsubscribing to your blogs. This is one of those SEO mistakes which could harm the reputation of your blogs in the long run. There are two SEO mistakes most people make. If you’re doing any of the above SEO mistakes, you’re not going to get any search traffic. It’s as simple as that. On page optimization is the process of optimizing your individual pages for certain keywords (called primary and secondary keywords) to improve their rankings in search engines. That means, you need to first find primary and secondary keywords so that you can use them in the prominent places on your individual places. Here are few quick tips for proper on page optimization. The good thing about using WordPress is that it offers a wide range of on page optimization plugins (which are mostly available for free). There are 2 plugins which we highly recommend if you want to optimize your content properly and there they are. Let’s briefly talk about them now. WordPress SEO by Yoast: This is the most popular SEO plugin developed by Yoast team which is used by millions of people worldwide. This is also the same optimization plugin we’ve been using for years now. It helps you quickly optimize your blog posts and pages for targeted keywords and also it suggests where to insert your keywords in order to make them rank well in search results. It also helps with XML sitemaps, setting canonical URLs and so on. SEO by Rank Math plugin: This is the NEW plugin which has been creating a lot of positive buzz since its inception. In fact, Rank Math plugin is considered as one of the best alternatives to Yoast SEO premium plugin. Are you still using the http version on your site which is not secure? Did you know that https is an SEO ranking factor? Yes, that’s true. Google is showing more love on pages which are on https when compared to http. Whether you know it or not, browsers like Chrome and Firefox explicitly mark websites that provide forms on pages without HTTPS as being non secure. They show “not secure” error pages to visitors who are browsing through such pages which are still on http. HTTPs stands for Hyper Text Transfer Protocol Secure and SSL stands for Secure Socket Layer. The secure version i.e https version uses an SSL certificate to establish a connection between the browser and the server so that any information including bank information, credit or debit card data etc that is exchanged between your browser and the website gets encrypted. We’ve written a detailed guide on switching from http to https using SSL certificates where you can find all the details on how to easily secure your site for more authority, branding and improved search rankings. Once you’ve installed free SSL certificates to switch from http to https, you need to make sure your site URLs are running on HTTPS. So how can you find that? It is as simple as manually entering the various non-HTTPS URLs of your site domain (for example, www.example.com; http://www.example.com) and making sure they’ve all been 301 redirected to the HTTPS version. In case if you’re wondering how to easily switch all your URLs which are on http to https version, here’s a quick fix. If you’re using WordPress, there’s an incredible plugin (which is also free) called Really Simple SSL plugin which automatically detects your settings and configures your website to run over https. Quick note: Before you install and activate the above plugin, you just need to make sure to get an SSL certificate (as discussed above, using sites like Bluehost) to make it work. One of the biggest SEO mistakes most bloggers make is this: they are not aware of Site Audits. If you’re also one of those bloggers who really don’t know what site audits are, you should learn more about them and implement them in order to achieve better results with SEO. Let us make it simple for you: what are site audits anyway? Site audits help you find all the technical and SEO related issues on your website so that you can fix those issues to improve your overall rankings on search engines. To put it simply, site audits provide rich diagnostic information where you can easily find and fix all your website issues which are preventing your site to get more traffic. So how can you get started with site audits? Site audits is definitely a technical related thing so if you’re not a tech savvy, we highly recommend you to pick few SEO tools. In our case, we use and highly recommend SEMrush tool which is one of the most popular SEO tools in the world used by millions of people. It offers you Site Audit feature where you can easily find and fix all your site SEO or technical related issues at one place. All in all, it’s fantastic tool to easily find and fix your site issues using site audits. If you’re wondering how to get started with it, let us help you with a free trial. If you wish to grab SEMrush Guru plan which is worth $99, you can use the following link. According to a research done by SEMrush, 50% of websites (they have collected data from 100,000 websites and over 450 million pages) have duplicate content issues. So what is duplicate content anyway? But here’s the thing about duplicate content: it won’t get you penalized. In a Google Q&A session, Andrey Lipattsev who is a Search Quality Senior Strategist at Google, stated that there is no such thing as a duplicate content penalty. But it doesn’t mean, you should practice duplicate content. After all, search engines like Google want to show “unique and highly informative content” to the users. So if you’re practicing duplicate content on your site, it won’t help you with search traffic. Not only duplicate content hurts your authority as a blogger but it won’t help you in getting any extra traffic (Google crawlers are smart enough to find copied articles from search results). Use unique headlines while publishing your blog posts, make sure to do a quick search on Google for the headlines you’re going to use. Use those headlines which are not available already. If you want a simple solution, you can also use free tools like Portent to come up with dozens of unique headline ideas for your posts. Give credits where they are required. For example, if you’re paraphrasing someone else’s content in your blog, make sure to link to the original source. Likewise, whenever you use data (infographics, charts, screenshots, images etc) from other sites, give a link to their sources to avoid copyright issues (or plagiarism issues) in the long run. Take inspiration from the posts that you like, but don’t copy. Try to make even better blog posts by adding more value by inserting images, infographics, videos or podcasts. And give a link back to those posts where you take the inspiration to write the posts. Broken links whether they are internal or external links are harmful for your site’s SEO. So how can fix broken links related issue? At Bloggers Passion, we always identify broken links using SEMrush site audit tool. It’s one of the best features of SEMrush where you can easily find all the broken (including toxic links) links on your site. You can also use any type of link checker plugins or tools to easily find and fix all of your broken link issues. In case if you’re wondering about what type of link checker tools or plugins available online, here’s a list. Although there are way more tools available online which you can use to find and fix broken links but the above mentioned tools (including SEMrush) are really easy and effective to use. Black hat SEO is long gone. If you’re still implementing the black hat SEO techniques, you should avoid them right away. Black hat SEO refers to the use of aggressive SEO strategies and techniques that focus only on search engines like Google and not on humans. To put it simply, black hat SEO involves in pleasing only search engines through aggressive link building or content farms and doesn’t focus at all on the users. In fact, the websites that follow black hat SEO techniques get penalized by Google algorithms sooner or later. Here are few of the black hat SEO techniques used most commonly (avoid them at all costs if you don’t want to get penalized by Google). All in all, if you’re using any of the above mentioned tactics, your overall search rankings and traffic can go down in the long run. It’s better to NOT focus on such things and focus more on the things that actually improve your rankings. You should only learn and implement white hat SEO techniques. White hat SEO involves in pleasing both search engines and your website target audience. It means, your content is written for both people and properly optimized for search engines like Google. Here are some of the white hat SEO techniques you can use to get better rankings to your site in 2019 and beyond. Quick note: When it comes to links, it’s so much important to improve your backlink profile by removing all the toxic backlinks from your site. We’ve written a detailed guide on removing toxic backlinks where you can find all the details. Here are some of the important website metrics you need to take care of. Let’s briefly talk about them so you can understand better. Bounce rate: This is another important metric which shows your “user interaction and engagement” on your site, it also tells you about the quality of your site, the more time your visitors spend on your pages, the more engagement your site has and the less bounce rate you’ll get. That said, here’s a great study by ConversionXL around bounce rates. Click-through rate (CTR): It measures how many users click on your links such as pages, posts, ads etc after seeing them. New vs returning visitors: This metric tells you how many new users are visiting your site vs how many people are directly visiting your site. Pageviews: These are not unique as one user can visit multiple pages on a single visit, and these pages can help you easily find what type of contents are performing well on your site depending upon the views they get. The difference between high traffic websites and low traffic websites is this: high traffic sites have better site structure whereas the sites that barely get any search traffic often have poorly laid out structure. It’s as simple as that. Here are some of the reasons to focus on improving your site structure. What’s the best way to structure your website? Just have a look at Bloggers Passion website structure once. As you can see above, we’ve organized all the categories, menu, navigation etc properly by keeping both users and search engines in mind. You can see that, we’ve organised all the categories on our blog in a logical structure (when you hover on the Post Categories, you can easily find out all the categories). And when you click on any of the categories, you’ll find a list of all the articles in that particular category. It’s not helpful for readers to easily go through any type of content they want but also search engine bots find it easy to crawl the whole site without any hassle. Here’s a great illustration of site structure for SEO. As you can see above, it follows a SILO structure. The simplest way to describe a silo structure is to have a target page, with many supporting pages linking up to the target page. If you notice our categories at Bloggers Passion, we’ve structured them logically (by following SILO structure). You can do the same on your website where you can make the main categories unique and create sub categories which are related to the MAIN category under which they fall. There’s one biggest mistake most beginner bloggers make irrespective of the industry they are in: they don’t spend any time on giving more exposure to their content. They spend a ton of time (countless hours) in content creation and optimizing those contents but they barely spend time on promoting their content. If you’re also making the same mistake, you’re not going to get any visibility online. There’s a HUGE correlation between SEO and social media. In fact, search engines like Google take social media signals such as Facebook shares, tweets etc into consideration while ranking a web page. That’s it’s so much essential for you to focus on improving your content exposure, especially on social media sites. That being said, here are few quick things you can do to increase your blog’s exposure, social media shares and organic visibility. Publish it on your social media pages: Immediately after publishing any content on your blog, make sure to publish on your social media accounts including your Facebook pages. If possible, try to find similar Facebook groups where you can engage with other bloggers and promote your latest blog posts to bring targeted visitors to your site. Use Quora: The best part about using sites like Quora is that, you can write a summary of the post and publish it on Quora, Medium etc. Just make sure to use original content and don’t copy paste stuff from your own blog articles to answer on Quora. It won’t help! Share it with your followers: If you’re blogging for a while, you might already have some followers on social media sites like Facebook, Twitter, Instagram etc. You can reach out to them online and ask them to share your latest blog posts. But don’t do it too often as it can frustrate people. You should also reciprocate the same if you want to build relationships. Use Facebook Ads: Facebook ads are a fantastic way to promote your posts where you can reach out to a targeted audience based on the profile of your average visitor. It might cost you a few bucks but it’s worth your money especially if you’re trying to promote your “commercial posts” where you can make money. Send it to your email list: If you have an email list (if not, you should start building it from now as it gives $40 ROI on every $1 spent at an average), you can send an email newsletter about your latest blog posts. If you’re publishing too many posts in a week, it’s better to send a weekly digest (once in a week) where you can mention all your blog posts at once. Link to it from older posts: Internal linking is a must whenever you are publishing something on your blog. Find and interlink to your old blog posts which are relevant to the topic you’re covering. Not only it helps you with better crawling in search engines but also helps your audience to find relevant content to read. It ultimately increases the overall engagement of your audience. Write guest posts: The final thing you can do is you can write a guest post and publish it on a relevant website and link to your posts. Not only it helps you with link building but also helps you build relationships with other bloggers. All in all, how much time you spend on promoting your blog posts and giving more exposure to your contents directly affects your overall website traffic and authority. There’s a quick tip for you: go to Pingdom tools and find out your website speed (by entering your URL). Now, a question for you: is your site taking more than 3 seconds to load? If yes, you need to give your #1 priority to optimize your site speed. Why? If your site takes more than 3 seconds to load, you’ll lose 40% of your website traffic. One of the biggest SEO mistakes most bloggers make is that they don’t focus on speeding up their site. So why leave your website traffic and sales on the table? Start focusing on improving your website loading times and performance to start getting more traffic and sales. So what can you do about increasing your website speed? 1. Invest in a faster and secured hosting: We prefer WPX hosting. Ever since We started using WPX hosting (we were previously using Hostgator), my website speed increased rapidly, it’s now loading in under 2 seconds which is great. Although WPX hosting is bit expensive $25 per month whereas Hostgator comes at just $6/mo but WPX makes your site faster and more secure (as they use dedicated hosting servers). If you want to know more about WPX hosting and their features, you can read the post from here. 2. Optimize your images: We all know how important images are to bring more traffic to our sites. They also give visual treat to your audience. We highly recommend using at least one image for every blog post you publish. 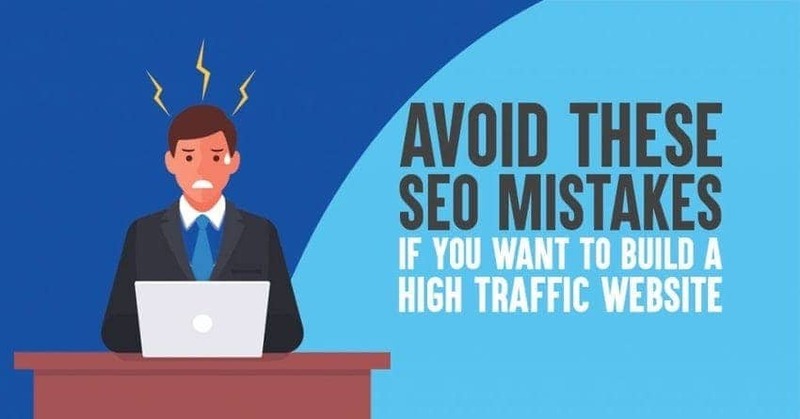 But one of the most common SEO mistakes many people make is; they don’t optimize their images before uploading them on their sites. There are 2 types of image optimization. Optimize image size: Before even uploading your images within your blog posts, make sure to shrink them. You can use plugins like shrink.it or you can use so many free image optimization tools online to shrink your images. That way your blog pages will take less time to load your images, hence gives your audience faster loading times to read. Optimize your images with ALT tags: Always use ALT tags in your images with your primary keyword. That way, you can bring visitors from Google image search which can be so much helpful. Another most common SEO mistakes made by many bloggers is that they don’t realise the importance of link building. If you’re still not realising the importance of backlinks, have a quick look here. Did you see that? 99% of all the top 50 search results had at least ONE external link pointing to the website. That tells you the importance of backlinks. That being said, we don’t suggest that you should blind build as many links as you can but make sure to build quality links even if they are less. For instance, you can get more SEO benefits if you can get just 1 backlink from an authority site (let’s say DA 70+ site) rather than getting 10 links from low quality sites (let’s say DA 20 sites). Are you getting me? So stop making this SEO mistakes if you want to get more SEO benefits that can bring you more website traffic in the long run. Create linkable content: Instead of looking for ways to build quality links, why not create content that’s worth linking to? That’s what we call linkable content which usually includes, highly informative, well researched and useful content for your audience. Make sure to link out to other bloggers while creating content and let them know after you publish your stuff so that they can reciprocate the same thing sooner or later. We also highly recommend you to start creating 2000+ word articles over 500 word articles as massive articles always get more search traffic, backlinks and shares. Write high quality guest posts: Guest posting is still one of the evergreen tactics to build quality backlinks. Just make sure to target top quality blogs with high quality guest posts instead of writing crappy guest posts. Also make sure to build relationships with other bloggers while guest posting so it can be much more helpful than just link building in the long run. Do a quick research about the relevant sites to write guest posts, start leaving thoughtful comments on their posts, build relationships before you start your guest posting journey. Don’t forget the importance of blog comments: One of the most common SEO mistakes (and link building mistakes) most bloggers make is, they don’t realise the importance of blog comments. Yes, we agree that blog comments contain nofollow links but you they send you traffic and give you extra boost in search engines. Moreover, if you’re only building dofollow links for your sites, your site might get penalised, that’s why get equal amount of dofollow and nofollow backlinks (by blog commenting) to get better search rankings. There are lots of bloggers who struggle to increase their search traffic for one major reason: they don’t do keyword research at all. We know keyword research is the painful process, not even one blogger likes to do keyword research on their blog posts but that’s one of their most common SEO mistakes that can hurt your search traffic. In general, keyword research isn’t a rocket science, anyone can do it without selling their souls. You should use proper keyword research tools like Ubersuggest, SEMrush etc. to easily find and use potential keywords on your blog posts. Without doing proper keyword research, you can’t get decent traffic from the search engines. You must know your primary keywords to drive organic traffic. Start with seed keywords (ex: “SEO mistakes”) and make sure to come up with at least 10 to 20 seed keywords when you’re starting out. Once you have a list of seed keywords, use keyword research tools like SEMrush, Google keyword planner etc and enter each of those keywords to come up with profitable keyword ideas. While researching keywords, make sure to pick the keywords between the monthly search volume 500 to 1500. That way, you’ll be able to find keywords that are easier to rank for. 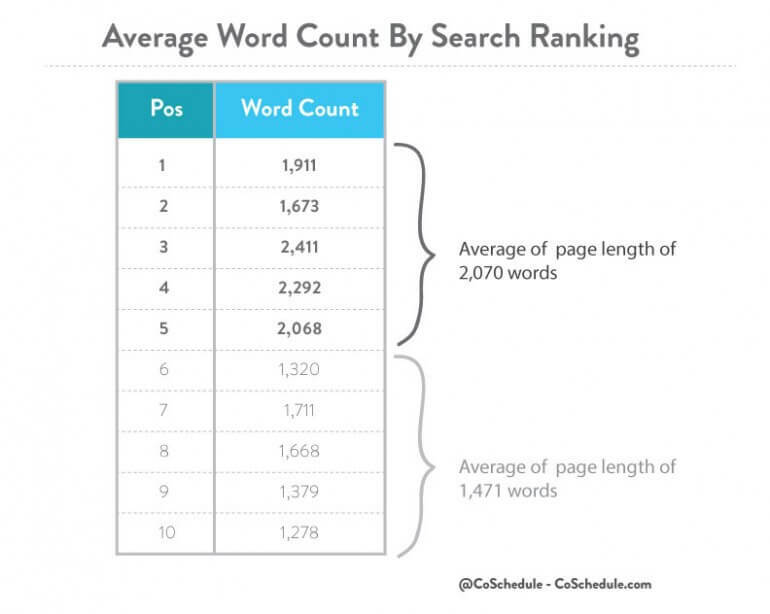 Quick tip: Make sure to find out all the keywords that you’re already rank for. That way, you can find more relevant and long tail keywords to use them in your posts to bring even more search traffic fast. We all make a ton of SEO mistakes and it’s OKAY! Why? SEO is evolving a lot in the recent years and there are tons of updates going on every week. So learn from your SEO mistakes and try to avoid them as much as possible to get better search rankings and traffic. Make sure to start evaluating your search rankings, track your keyword rankings and use proper tools to get ahead of your competition and get better at SEO. What SEO mistakes do you make from the above? Also do you have any more common SEO mistakes to share that most people make? Share your thoughts in the comments below. Thanks, for some really helpful information. I’m new at this game and copied one of my posts from my blog to Goarticles. Is that likey to get me penalised and should I remove one of them? You should use the contents that are published on your blog anywhere else on the web. If you do that, you are creating duplicate content issues. I appreciate for sharing such useful information regarding seo mistakes. As im not so often to technical things i need to clear with seo audits and this article came as a magical move to me. Thanks! please do keep sharing such article. First of all thank you for sharing this valuable information .this is very helpful for those who are struggling for website promotion (like SEO. KEYWORDS etc).it will help to generate traffic on my website. Seo process tends to be cleared with those parameters comes under SEO audit. This article gave useful information regarding SEO mistakes offensively made. please do keep sharing such articles. Thank you providing such useful information. It helped me lot to clear those mistake and easy on parameters of seo audit. Please do keep sharing such articles. Fiverr thing is true, people are looking for quick back-links and traffic while they don’t remember that their bounce rate is going to increase only and you can’t make a fool of google, it will cost you more than you can imagine. Yes, I don’t know why but still there are a vast majority of people who use sites like Fiverr to buy cheap services like link building, social media promotion, content creation and so on. Yes, it’s definitely going to cost a lot if you use such practices. Instead focus on creating great content and use the link building strategies mentioned above to bring more search traffic to your sites. Thank you for providing more valuable information regarding SEO. SEO really plays an important role in earning relevant traffic to blogs or websites. Thanks first of all for writing such a helpful blog post about SEO. I recently lost all good ranks in August 2018 update and could not recover well after that because I joined 9-6 job due to that ranking crisis. So, as a result, there are 70% posts are low performing and indexing on Google. What I should be doing in the next 2-3 months to improve my search engine rankings? I am clueless right now. Hi, you should be updating those blog posts with latest information and keywords. Make sure to improve their titles, meta description, image title tags and so on and target at least one primary keyword for each post if you want to get better rankings. If your contents are not generating any traffic, you should update, merge them into several posts or simply use 301 redirects. Hi Anil, This is a great list out. Some of them are in my radar all the time and few of them are did many times. Keep posting such wonderful posts. I used to not care about on-page optimization, but now I receive some extra traffic after embracing simple keyword research. Little things like these can mean the difference between a highly trafficked blog, and an average (or even poorly received) blog. Yes, that’s true, keyword research and on page optimization can go a long way. You just need to focus on finding less search volume keywords and include them within your blog posts properly. You can also install plugins like SEO by Yoast which helps you easily optimize your blog posts for specific keywords and it’s also free! Thank you Sir fir this post. It relly help me alot in my blog’s SEO. I love this article. I’m waiting for your new post.